Deregulation of the industry would open up the market for newer investors with the right will and capacity to come in and manage the system properly. The open market would guarantee full private sector participation. Jobs would be created for Nigerians as new investments in refineries, retail outlets and other facilities come on stream. The high incidence of products hoarding, diversion and smuggling would be reduced substantially. Two influential unions in the country’s oil industry, the Petroleum and Natural Gas Senior Staff Association of Nigeria (PENGASSAN) and the Nigeria Union of Petroleum and Natural Gas Workers (NUPENG) hit the nail on the head last Friday. “We are of the view that (petrol) price deregulation has its benefits in the immediate and near future,” they said in a joint communique at the end of their National Executive Council meeting in Calabar. The two unions said government should have a constructive engagement with industry stakeholders to work out a clear direction on how to reinvest the gains of the policy into the economy to cushion the effect of the price on the people. For them, the policy was difficult, but inevitable at this time. Therefore, government should ensure that all the country’s four refineries in Port Harcourt, Warri and Kaduna perform optimally, while efforts are made to construct new ones, to ensure adequate local refining and products supply for domestic consumption and possibly export. The two unions, which are key players in the sector, should know exactly what they are talking about. That is why it is difficult for some discerning Nigerians, who have borne the pains of subsidy all these years, to dance to the drumbeats of protest by the Nigeria Labour Congress (NLC) this time around. The debate about the deregulation policy announced by the federal government in the downstream sector of the petroleum industry has been very interesting. One side believes the timing is wrong. Supporters say Nigerians are already under enormous pressures, economically speaking, and their capacity to absorb further pressure has already been stretched to the limit. Since the crude oil price took a massive dive from a height of over $100 per barrel in 2014 to almost $25 late last year, earnings from crude oil exports have plunged correspondingly to the bottom. The heavily dependent on oil revenue Nigerian economy has been having it topsy-turvy. Most homes, like the states, are having it tough and rough. The National Bureau of Statistics (NBS) says inflation is already scaling 11.4 percent in April and is still rising, while the income of workers appears stagnated. The oil workers are asking for a N90,000 minimum wage as part of the palliatives to cushion the likely pressures from the policy. A currently pervasive fallacy is that deregulation is synonymous with petrol price hike, and anything that would take more money from Nigerians’ pockets is tantamount to enemy action. The truth is that there is no best time to do a good thing with enduring benefits. To be diagnosed of cancer is painful and bad enough. But, to spurn bitter drugs or chemotherapy, because it would be painful, is an open invitation to the grave. Every second’s delay in exorcising cancerous cells exposes the person involved to the risk of the cancer spreading to the entire body, with terminal consequences. In January 2012, the fuel subsidy conundrum was already bad. The government was right to have attempted to remove it from the fuel pricing template. If the Nigeria Labour Congress (NLC) had stood by the government then, perhaps the pathology would not have grown into a malignant tumour today. Regardless, there are fundamental differences between the subsidy removal attempt in January 2012 and the deregulation decision in 2016. If nothing else, the economic environment today and the credibility quotient of the administrations then and now are fundamentally different. In 2012, crude oil prices averaged $110 per barrel, as against the low crude oil price of about $40 this year. Although the exchange rate to the dollar in 2012 was N161.15, the availability of Forex was not as tasking then as it is today that even at the official exchange rate band of N197 and N199, availability is almost non-existent to finance fuel imports. In 2012, NNPC shared fuel importation responsibilities with other product marketers on a 50:50 basis, compared to today that the NNPC is handling both importation and distribution single-handedly, following the other marketers opting out of the programme as a result of the Forex crunch. The NLC may have succeeded in mobilising Nigerians against the decision in 2012, because there was no strategic plan to invest in refineries and pipeline infrastructure that would benefit the industry, but the latest decision has on-going strategic investment plans to ramp up existing refineries’ capacities and to attract new investors to develop existing operational licenses to promote self-sufficiency in domestic fuel production. As a result of the monumental corruption in the fuel supply programme, Nigerians were not confident of the then administration’s capacity to manage the savings from the deregulation policy to the benefit of Nigerians. However, it is the overwhelming confidence in the present administration’s capacity to ensure that proceeds from the policy would be properly reinvested in the industry that even the oil workers and other Nigerians have declared their support for the removal of subsidy. Under the Petroleum Support Fund (PSF) scheme, the approved number of marketers jumped from 23 in 2009 to 128 in 2011. A total of N1.4 trillion was claimed by NNPC as subsidy between 2009 and 2011, while other marketers were paid another N1.6 trillion. Details show that the subsidy claimed by NNPC in 2009 increased by 110 percent from N198 billion to N416 billion in 2010. The figure increased further by 89 percent in 2011, from N416 billion to N786 billion. The subsidy gap also widened substantially over the period by over 200 percent from N26 per litre in 2009 to N81 per litre in 2011. Again, the difference between subsidy claims paid from the federation account and those paid by Petroleum Products Pricing Regulatory Agency (PPPRA), was N175.9 billion during the same period. While the office of the Accountant General of Federation said it paid a total of N2.83 trillion to marketers, PPPRA paid N3 trillion. In 2012, although N1.36 trillion was processed for payment by PPPRA, only N690 billion was actually paid. But, the audit of NNPC/PPMC books shows that about N871.1 billion was paid during the year. The figure only dropped by about 29 percent when compared to N1.9 trillion paid the previous year, primarily as a result of the January 2012 nationwide protest, which called for the probe of the subsidy regime. The number of marketers dropped significantly from 118 to 49 the following year. A rough mental calculation of the subsidy disbursements in just three years between 2009 and 2012 was a staggering N3.9 trillion. The subsidy figures for 2013, 2014 and 2015 are not available. But, imagine that an estimated N2.6 trillion was spent between 2013 and 2015, it means the country would have bled about N6.5 trillion in five years, more than the country’s total 2016 budget outlay of N6.06 trillion. The implication was that what Nigeria was losing in the name of fuel subsidy for six years could have provided for the country all the projects and progammes proposed for execution in the 2016 budget, in terms of debt servicing, and the building of roads, hospitals, rail lines, schools, and all other infrastructure needed to make life better for Nigerians. Yet, this is the amount paid to a few individuals who constituted themselves into a mafia that has held Nigerians to ransom for so long. The removal of fuel subsidy may bring a temporary inconvenience to Nigerians, but it is a necessary pain that would ultimately herald enduring benefits. Postponing the decision further, because of the fear of inconvenience, would be postponing the evil day, which would surely come one day, and possibly with more devastating consequences. If the decision to remove the subsidy in 2012 was allowed to stay, Nigerians would have been healed of the pains today. Imagine if all the trillions of naira spent on fuel subsidy payments all these years were invested in the rehabilitation or building of refineries and other facilities in the oil and gas industry. The country would have had at least three new refineries, alongside the old ones, by now. This would have guaranteed the country self-sufficiency in fuel supply, and an end to the importation of petroleum products. The poor state of the country’s refineries and the inability of NNPC to carry out routine turnaround maintenance (TAM) have been at the heart of the perennial cycle of fuel crises. Over the years, the NNPC has failed to operate as a business with a commercial mind-set like other national oil companies, like Statoil and Petrobras, its Norwegian and Brazilian counterparts respectively. Rather, the NNPC has degenerated into a cesspool of corruption where nothing works. Yet, it has imposed on itself roles as monitor and regulator, even where it failed in its primary role as operator in the industry, with the attendant conflict of interest. With four dysfunctional refineries hardly able to produce a combined capacity of 10 to 12 million litres of petrol per day, the NNPC has not been able to meet the shortfall from the 45 million litres needed to meet the daily national fuel consumption requirement. Due to foreign exchange constraints, the major and independent marketers, by the third quarter of 2015, had all abandoned the fuel importation programme to NNPC. The corporation, which accounted for about 54 percent of fuel supply, was compelled to handle almost entirely the importation and distribution of petroleum products required in the country. Obviously, the fuel supply crisis has been attributed to the lack of involvement of the other marketers in the sourcing for and distribution of products, as well as the dismally poor capacity of the NNPC to meet these responsibilities alone. Out of more than 26,700 filling stations nationwide, NNPC has only 37 mega stations, located in the capital cities in the 36 states of the federation, and the federal capital territory. About 2,453 of the stations belong to the Major Oil Marketers Association of Nigeria (MOMAN), comprising Mobil Oil, Total, Oando, Conoil, Forte Oil and MRS. The other 24,226 outlets located in the country’s hinterland belong to the Independent Petroleum Marketers Association of Nigeria (IPMAN). Equally, out of nearly 130 fuel depots in the country, the NNPC controls only 22, while IPMAN and MOMAN own 83 and 24 respectively. With such glaring inadequate capacity, it is dangerous to allow such all-important responsibilities for fuel supply and distribution in the hands of NNPC alone and expect good results. For years, because of the government’s regulation and price control in the industry, none of the 18 operational licenses issued to private investors to construct modular refineries has been utilised. Minister of State for Petroleum Resources, Ibe Kachikwu, said recently that at least 30 percent of fuel allocations meant for different parts of the country were diverted and smuggled out daily to neighbouring countries like Cameroon, Chad, Togo and Benin Republic by marketers and transport owners. With deregulation, the fuel market would be stabilised, while supply and price at the pump would stabilise at the actual level. Without doubt, government had genuine reasons to introduce the fuel subsidy – to help the low income earners buy fuel at affordable price. Every government grants similar subsidies. However, the flaw in the Nigerian subsidy was not only that government was subsidising consumption, rather than production, it was that the subsidy turned out a cistern for massive corruption. Marketers connived with unscrupulous government officials to abuse the process, such that the subsidy, which was meant to support the poor masses, became a means of income for the rich. Apart from sections of Lagos and Abuja, no other part of the country could boast of buying petrol at N86.50 per litre when that was the price at the pump. 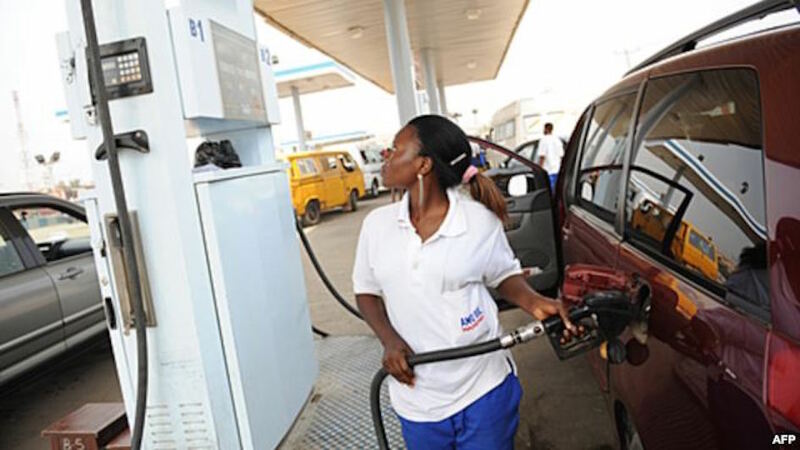 The NOI Polls, an Abuja-based opinion and research group, said last week that apart from Lagos and Abuja, more than 85 percent of consumers have been buying petrol at far above the approved pump price of ₦86.50, while 59 percent of its respondents said they paid between ₦150 and ₦250 per litre of the commodity. Deregulation would break the government monopoly of the business. Opening up the market for private players would bring competition, as market forces would be the sole determinants of fuel prices at the pump. Businesses would determine their operational processes, procedures and strategic imperatives in an atmosphere of competition without the government’s interference. The government’s involvement would be restricted to its basic roles of creating the enabling environment, by effectively monitoring, supervising, regulating and enforcing compliance to set rules, laws and operational standards and regulations. There would be a level playing field for all consumers across the country, irrespective of location. That the automotive gas oil (AGO) or diesel market rarely experiences scarcity since it was deregulated is a compelling evidence that if marketers are allowed to source for funds to import and sell at market-driven prices under a deregulated atmosphere without government interference, the outcome would be the same. With government’s regulation of the petrol market, marketers have been reluctant to get involved in fuel importation. They are not sure of recovering their costs if they source for scarce foreign exchange, issue letters of credit, pay interest to banks on loans and are expected to sell only at the government’s fixed price. With a price modulation framework introduced in January this year, the fear of marketers manipulating prices out of control was eliminated. The retail pump prices of petrol would henceforth be modulated according to the up and down movements in crude oil prices at the international market. As an internationally-traded commodity, crude oil and all its derivable products, like petrol, are subject to the market forces at the international market. Crude oil price accounts for about 80 percent of the final cost of fuel. Other costs include depot charges, ports charges, transportation costs, marketers’ margins, chemicals, spare parts, raw materials, administrative charges, etc. Therefore, at the current crude oil price of about $40 per barrel, the price of the refined product sold to Nigerians cannot be lower than the cost of the crude oil, plus the other associated costs incurred in refining the crude into petrol and supplying to the consumer. Deregulation would ensure that relevant regulatory agencies, namely the Department of Petroleum Resources (DPR), PPPRA and the Petroleum Equalisation Fund (PEF) are empowered to play their roles and create a level playing ground by ensuring strict compliance with market rules by all players and consumer protection. Under deregulation, every marketer would be interested in wooing consumers with quality service to control a bigger share of the market. With more participants in the fuel supply process, the scarcity problem would be resolved. That is why deregulation is the best way to go. Ata Udo, a oil and gas analyst, wrote in from Abuja.